It was announced a bit earlier on this morning that, at the age of 35, Alan Dillon has decided to retire as an inter-county player. The news was broken on the Mayo GAA website, with the announcement including statements from County Board Chairman Mike Connelly, manager Stephen Rochford and the man himself – it’s here. As the announcement confirms, Alan has had a long and distinguished inter-county career. He made his senior championship debut as far back as 2003, when he was still an Under 21 player. His championship debut came in June that year, in the Connacht semi-final against Sligo at Markievicz Park, where he lined out at left half-forward, scoring a point. Looking through the results archive for that year, I can see he got a few runs from the bench before this in both the FBD and the NFL, with his first starting fifteen appearance for the county coming in the League match against Kildare in Ballina in March that year. Since then, Alan has put in a serious shift for the county. 66 championship appearances, 134 if you add in League matches, during which he bagged a total of 3-225. Along the way, he picked up eight Connacht SFC medals and All-Star awards in 2006 and 2012. He captained the county to Nestor Cup victory in 2011. Inevitably, though, it’s all the defeats he had to endure as a Mayo player that will be recalled today. Alan, sadly, has had to handle more pain than most in this respect, as he was involved in every final the county played in since 2004, suffering the crushing blow of defeat no fewer than six times. It’s sad too that he becomes the latest in a long and distinguished line of truly great Mayo players to retire without tasting ultimate success in the game. But if that’s a taste we’re destined to savour at some point over the coming years, then Alan will, for sure, be one of the those who will rightly be credited with laying the foundations for such glory, step by resolute step. The Ballintubber man departs the stage having left so many memorable cameos to savour. One of my favourite ones comes from the start of his inter-county career, when, as a willow-like youngster, he ghosted by the Kerry defence in the opening minutes of the 2004 final and, calm as you like, slid the ball into the net at the Hill 16 end. Another would be his masterclass in the 2012 All-Ireland semi-final when, as James Horan’s on-field lieutenant, he orchestrated that memorable take-down of the then reigning champions Dublin. Time stands still for none of us, though, and, after fifteen years of inter-county service, Alan has now decided to bring down the curtain on a long and illustrious career as a Mayo player. Without doubt, he leaves the scene with the county’s standing at a far higher level than it was when he started. For sure, Alan himself played a major part in establishing the county as one of the leading powers in the game. For this, and for for so much more, he deserves our heartfelt thanks and appreciation. Thanks for the memories, Dillo, and thanks too for all those years of sterling service to the cause. What an outstanding servant to Mayo GAA… as Willie Joe eluded he stood up and stood out on many special occasions… we wish him and his family the very best on his inter country retirement.. I am sure he will still terrorise our club for another while ? 2012 semi is probably my highlight also, he really was unplayable that day. 2014 v Cork another standout, I think he might have kicked 4 or 5 from play that day, in a new role closer to goal. Best of luck to him, and I assume will continue playing at club level where he may hoover up some more county titles yet. The absolute epitome of composure. Gutted to see him leave. Alan has had numerous displays in the green and red that will live long in the memory, most of which have been mentioned above. To be honest though, my personal favourite was his performance against Tyrone in the 2016 ¼ final….. he was not named originally and gave them the run around for 35 minutes before getting hooked. In my opinion, it was one of the most selfless performances for the greater good I have seen. Sad to see him go. Great shout re Tyrone 2016, wasn’t he also in a roving role that day (which involved playing mostly in his own half), something he wouldn’t have been overly familiar with? Thank you Alan for all the effort and hard work given to the Mayo cause over the years. On the day that one of the current Mayo crew raises Sam in Croke Park we will all know that you had a big hand in making it possible. A great player with great heart, sad to see the man retire without an All Ireland medal having been pipped at the finishing line so many times. Fourteen years at the cutting edge of intercounty football is in itself a confirmation that he is a warrior with strong character and bravery. Hats off to him and I hope continues to enjoy health and happiness in his private life and fulfilment in sport with his club and in time in the terraces and stands in Mayo and elsewhere. Thanks Alan for many many enjoyable moments. It’s no coincidence that these years of high acheivments have coincided with your years in the panel. Set the bar very high for everyone else to play on the same team and in latter years to take a starting place instead. Stand out moment for me was a buet of a score again cork with the outside of the boot. 2012? Sad to see him go but it comes as no surprise, its just a pity he didn’t reach the ultimate goal before he called it a day. Two particular days of Alan Dillon in the green and red stand out for me – As some posters have mentioned above, the quarter-final against Tyrone in 2016 is what I’ll remember him best for. Tyrone just couldn’t handle him in that first half, the amount of space he seemed to have was a testament to his skill and reading of the game. The second one is the Connacht Championship game against Roscommon in Dr Hyde Park in 2014 when he and Andy Moran came on as subs and turned around what come have been a disaster of a result. Thanks for everything Alan, and enjoy the rest. Would like to echo all the best wishes here to Alan Dillon – truly a great servant to Mayo football. In terms of greatest/most memorable performances I’ll remember, as mentioned above, when himself and Andy came off the bench to pull it out of the fire against Ros in 2014 and, a full 10 yrs earlier, in the QF against Tyrone. They were AI Champions then and had just invented the blanket; we were complete underdogs going in that day and Alan scored 5 or 6 if memory serves, including a couple of monsters. I was genuinely sad to hear this. He was great for the county and a really nice fella to boot! Run into him once on his way into training at McHale park a few years back. Jeez I remember that Ros game in 14, only for Dillon and AM we likely would have lost and how different could history have been then! At least in 2016 and last year we were on the road a longer while, so were much more experienced to deal with an early loss. Sad to see Alan going. What a great servant to the cause. Thanks for the memories. Great player. Such a pity he has no celtic cross. Lovely piece Willie Joe – sums up what us Mayo supporters feel about Alan. Enjoy the retirement. One of the great Mayo players, sad that he is really the first of the current generation to retire, but he was there before the rest of them and as someone said, he was probably in his prime late 2000’s when Mayo were very inconsistent and there was a lot of player turnover. Real intelligent player and the ball seemed to be attracted to him. Seldom wasted possession. Always amazed the hits he could take given his stature. Such a shame that he retires without a Celtic Cross..May I never have to write that line about any other current panellist..
Best of luck to a wonderful servant of Mayo. One of our all time greats and sadly just the latest to retire without the ultimate prize. In terms of favourite moments his point in the drawn final last year will live long in the memory. In terms of matches the two quarter finals against Tyrone in 2004 and 2016 are the ones I will long remember. best of luck Alan in your future and thanks for the memories. All the best for the future Alan. A real pity his time has finished without a Celtic cross , which he so richly deserved. A class act on and off the pitch. I met him at training in Dunboyne the night before the Tyrone q/f in 16 . There was only a handful of people there and he spoke freely and confidently about the game the next day. He told me, we will win this and I was totally convinced we would after listening to him. I hadn’t been before that , but was delighted to tell my friends in the pub that night not to worry. The way he played that first half, had me on cloud nine and was he right. Thanks Alan for all the great days. You always looked so eloquent in possession with a remarkable ability to find a yard of space to get that pass or shot off. You made point scoring look easy. That beaut in the first final 2016 deserved a trip up the Hogan steps. Well done. Superb career. Shame he never won that elusive Celtic Cross but at the end of the day that particular fact does not define him or any Mayo player past or present of their value and service the the cause. Good luck Alan in retirement, a great player and playmaker! Edwin mcgreal’s article is a great read and I would agree, hopefully we haven’t seen the last of him for Mayo. A man of his football intelligence is needed in coaching. Too many players drift away and don’t get involved in coaching, Mayo need the likes of Dillon to coach forwards to develop vision and awareness. Players as good as Alan Dillion don’t come along that often. Didn’t see much game time for Mayo this year and that probably made up his mind that now was the right time to retire. The piece by Edwin McGreal referred to by Puckout is on the Mayo News website – here. Well worth a read, it’s a lovely tribute. Ed’s point at the end of the piece about the need to harness Alan’s skills as a coach is bang on the money and needs to be acted on without delay. Alan Dillon was a class act. Hard working, intelligent and selfless. He’s up there with the best Mayo players over the past 15 years in my opinion. The way he turned back inside with a hop of the ball and passed it over the bar with live long in my memory. If memory serves me right my earliest memory of seeing him play was a Vocational Schools All Ireland Final. I hope he enjoys his well earned retirement from county football. He has put in his shift for the county. Legend. One of the greatest ever to wear the Mayo jersey. Thank you Alan for all that you have done for Mayo football. Thank you for so many happy memories. Wishing you the very best for the future. Feels like the end of an era to read that Alan Dillon has retired from inter-county football – he was just great to watch and to claim as our own. His composure when in possession allied to his vision, differentiated Dillon from so many of his peers. Alan, thank you for delighting us over the years and I’m looking forward to your ongoing involvement in Mayo football, albeit in a different role. Who will take Alan Dillon’s place in Mayo squad now, Brian Reape ??? Fantastic servant to Mayo and a great player as he soldiered through good times and bad. Was a top class forward for us when top class forwards were not too plentiful. He will be missed. Well done Alan and enjoy your retirement. There’s a great interview with Aos in the newstalk website, well worth a listen. Roll on the fbd! All is forgiven. I promise. Sad to see him go but time waits for no man. To add to his unfortunate litany of All Ireland Senior defeats we must remember minor defeats in 1999 & 2000 and U21 in 2001. But I always say the the true greats, as Alan was, are not remembered for the All Irelands won but for their all round contribution. Names like John Nallen, Mickey Kearns, Gerry O’Malley, Packy McGarty and TJ Gilmore, to name but one from each Connacht county will be remembered when All Ireland medal holders are long forgotten. Best of luck on your retirement from the inter county scene, Alan D.! Your contribution to the Mayo team was truly immense over the years. May you be on or near the steps of the Hogan Stand when Big Lugs finally comes our way! Great, great player and boy did he serve his county well. I always felt reassured when I saw Dillo on the ball. He could play his way out of trouble and direct passes to the right spot. And his accuracy was unerring. I seem to recall him in that memorable 1999 minor win over Cork in the semi final when Mayo put on a show of sheer footballing class. They were just edged out by Down in the final. And he evolved into one of our best over the years. Yes Dublin in 06 was pretty special. Have been watching Mayo games since 1992.Alan Dillon would defo be on my best 15 that I have seen play for Mayo. To Alan Dillon , you were one of the greatest forwards ever to wear a Mayo jersey. They all talk about your great days with Mayo, but I met a Ballintubber supporter and he told me that you never missed any game with the club when you were available. He also said that Ballintubber has two of the best footballers in Ireland. Alan Dillon and Cora Staunton. Both are in the same age group. I would love to hear a conversation between those two legends when Cora retires. Again Alan thanks for all the wonderful memories over the last 15 years. May you have health and happiness for the future. Fantastic, service, commitment, longevity, football intelligence and skill, from Alan for many years…. 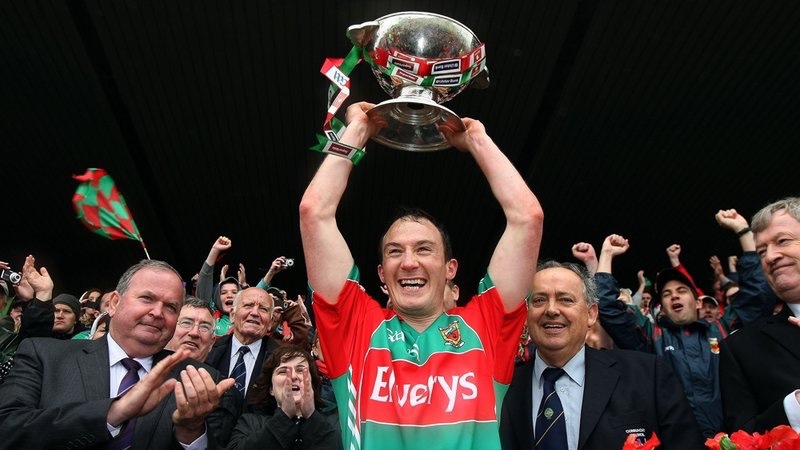 All Mayo supporters surely know and appreciate what Dillo brought to the table for many years!…… Chris Kelly that’s some All time team you picked there, a few talking points, No All time leading scorer for Mayo, Connor Mortimer? and No James Horan?.. Well you could have picked one of them….. But even if we could all turn back the clock, to a time when we were all at our very best…. Would them two stalwarts gel well together!… It’s all academic now, but thankfully it’s more interesting to talk about than a pre Christmas general election! … I would have included Colm Mac, myself! Everybody has there own opinion Leantimes. Which 3 forwards are you dropping for the Mort ,James Horan and Colm Mac? I just think when Conor Mort came up against Kerry a few times in the mid naughties he struggled and wasnt great for goals and alot of his scoring was from frees.Ya I agree Horan would be a close ,a sub for me he was the best scoring for with McD from 1996 to 2002.Its an awful pity we didnt get to see Ciaran Mac and Kevin O’Neill play more together between the years of 1998 to 2005 ,for whatever stupid reason John Maughan didnt choose to play Kevin O’Neill, how big a mistake it proved later when Micky Moran pulled him in from the wilderness at 33 and he had a great year one of the reasons we got to the 2006 final, scoring 3 points from play against the Dubs in the Semi and 2 first half goals in the final against Kerry.They where the 2 most naturally talented forwards I have ever seen play for Mayo.Anyone that watched alot of Mayo club football in this era would be in agreement, with Knockmore and Crossmolina dominating this period. 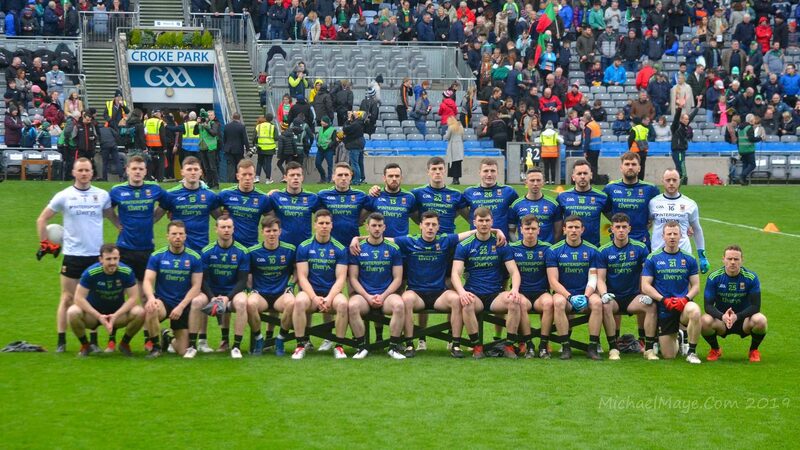 Nothing wrong with the Team you have picked, superb Team no doubt about it… I think performance in All Ireland finals is probably the ultimate judge of just how good a footballer anyway, if the team they represent have played in All Ireland finals.. I think I’d agree with your selection, No’s 1-7…I’d change midfield.. Definitely my first choice midfielder is in my opinion the best Midfielder in Ireland at the present time, Tom Parsons, and to partner him Colm Mac, some energy levels there, which would be important in my dream team, because I would be picking AOS at No 11..(Aiden is a fantastic player, but not the world’s best athlete) so I would not want Aiden to be tracking back, so the undoubted energy levels of a young Colm Mac and TP would cover that seneraio.. Either side of Aiden, would be Kevin McLoughlin and Ciarán Mac,… I’d go with your choice of FF line… Just an opinion… If you ask me next week, I will probably think of an even better team…. As for our current team, Kevin McLoughlin and Tom Parsons are well underrated… I rate Tom Parsons a better player than the current midfielder All Star and short listed for PotY award James McCarthy, and I rate Kevin McLoughlin as one of the Mayo all time greats. Chris, a very good point you made is that it is indeed a great pity that we didn’t get to see more of the two most skillful Mayo players of All time, playing together, Kevin O Neil and Ciarán Mac… If we had, I’m pretty sure that we would see the type of synergy that we now see between Cillian and Andy,… Still it’s great to see that so many of our current team would get into the best 15, almost every Mayo fan would pick… Further more I’d stick with the current management as the best, management that we have had as well… My six subs would be, Chris Barrett, Paddy Durcan, Liam McHale, James Horan, Alan Dillon and Conor Mortimer. Wishing well to Alan Dillon, great servant. Western reports that fifteen players brought in and put on a training program. Great news, suprised so many but happy that plenty are getting that opportunity. Alan Dillon served Our County well, a very intelligent footballer. Delighted to hear from Alan on Mid West Radio that he intends to go in to coaching in the future. Every good wish Alan in the future. Absolute Mayo legend. Not too many players get to be involved in 6 all Ireland finals. As well as the highlights mentioned (2004 final, 2012 semi, Tyrone etc) it is worth remembering that for many years, before the arrival of his clubmate COC on the scene, Dillo was the most effective and reliable forward we had, he probably was our no. 1 guy in the O’Mahony mk 2 era – easily forgotten after so many years of AOS, COC etc. Definitely one of the all time Mayo greats. I remember he gave me so much hope in 2004 when he scored that goal, that we now had 2 dare I say it “marquee” forwards to call on in him and McDanger. Definitely one of the all time greats whom I will always remember carrying us through in years perhaps when we didn’t have quite the talent pool available that we currently have. It’s not only mort that didn’t live up to the billing in those finals, it was a teamwide failure. A brother of one of the players said to me at the time that they seemed to be stuck to the ground and it’s true. No idea why but that’s how it looked. Anyways, that’s over and we have to look ahead and also learn from the past. What mistakes were made against Dublin in the last final and how can we be more cynical that Dublin and beat them at their own game? In saying that, it’s hard to compete when you have 2 dubs running into each other and getting a free in, maybe we should look at buying a referee like Dublin have done. Dave, well said… Were there any decent biased Referee’s for sale on Black Friday?…. Looks like Dublin bought a few, going back to 1995! Terrific piece by Kieran Shannon today in de paper on Dillo. He names the games and performances I had forgotten and he describes them very well. A bit harsh on Mac perhaps, but he contrasts them very well. Nice piece in the examiner too by Kieran Shannon. Link below though you will need to log in. I didnt think that was much of an article actually. It’s overly fawning and biased on Dillon and harsh on Ciaran Mc. Kieran Shannon, article tells about two very different footballers, and two outstanding footballers,.. The two best performance that I ever witnessed by a Mayo forward, were both from Ciarán Mac in the two All Ireland finals that Crossmolina reached, winning one and losing one, both occasions Ciarán won the MotM award… Arguments can always be made comparing, one football career with another.. Because both shone in different ways, dosent nessarly mean that the other shone with a lesser light…. Our two recent Players of the year, are also completely different, because Andy shone so bright this year, does not take away from Lee Keegan in any way….. Different player’s come to the fore at different times, for every team…. Several of our current team would be first choice on our Mayo All time greatest team, for Kerry supporter’s the majority of their greatest players would come from the 1975 – 1986 era… Still this year despite Mayo looking the better team for so long, we needed a replay to get the better of them … We have further to go, to get over that line and hopefully it will be better fun, next Winter picking the greatest players ever to play for Mayo….. Luckily I got it in, just before the deadline a few hours ago to renew the season ticket… Maybe our greatest player has yet to acquaint himself with easily the best GAA fan’s ever to support any team…. If I had to pick our greatest ever player, I would say Lee Keegan. Dont know why Kieran Shannon had to be so harsh on Ciaran MacD. How I used to love going to see him play. A once in a generation player. Wasnt he so right not doing interviews, etc. Always felt he was badly treated comig towards end of his career. Just saw one of those facebook sites have put up a few mins when he got that amazing point v the Dubs..still get goosebumps whenever I see it…MAGIC !! Here you are, Goagain2018 – time for another dose of the goosebumps! Included in the clip (here) is his outside of the boot free early in the same game, followed by the famous winning score. Anyone know the 15 players called into the panel for pre season training and the FBD? Ahh Willie Joe-is it Christmas Day morning!!! Such a treat to see that! Will have to watch the Second Captains Interview AGAIN!! We will never see the likes of Mr. McDonald again..just Genius. The names haven’t yet been announced, Mayomagic. Usual rules apply in this case – I’d prefer not to see people naming names here until they’ve been officially confirmed elsewhere first.